The Department of Anthropology at the University of Arkansas will be hosting our annual Open House on Wednesday February 20th from 4-7pm in the basement of Old Main on the university campus. 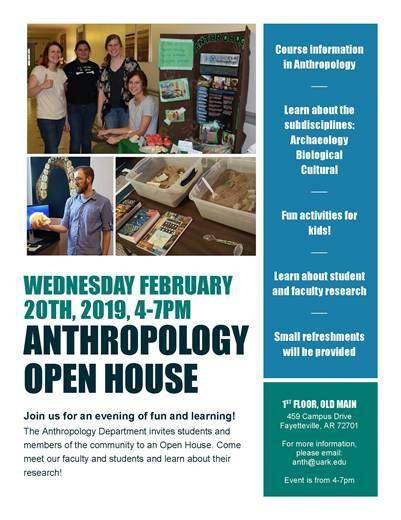 Please join us for fun activities about anthropology and archaeology, and learn more about what students and faculty in the department do for research and teaching. Small refreshments will also be provided. All ages are welcome!